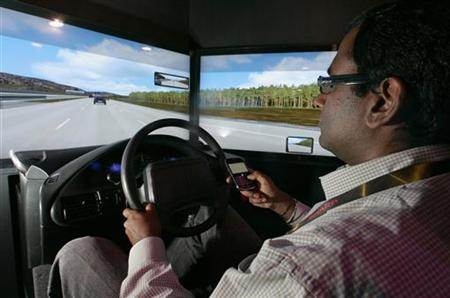 "Driving distractions, primarily by cellphones and other electronic devices, are associated with up to 25 percent of U.S. car crashes, according to a report released on Thursday. The study by the Governors Highway Safety Association (GHSA), a nonprofit group that works to improve traffic safety, assessed research from more than 350 scientific papers published since 2000." This shouldn't come as a shock to anyone, but no matter how good of a driver you are, the second that anything - a cell phone, the radio, reaching for a cup of coffee, etc. - takes you eyes off the road, you're dramatically increasing the risk of having an accident. Texting and overall cell phone use is just the latest trend in a problem that has occurred since the invention of the automobile...though I'd guess that back in the Ford Model T days, with no radio to fiddle with, GPS to check, or phone to answer, there were a lot less accidents due to distracted driving. Topping out at 45 Mph also helped!